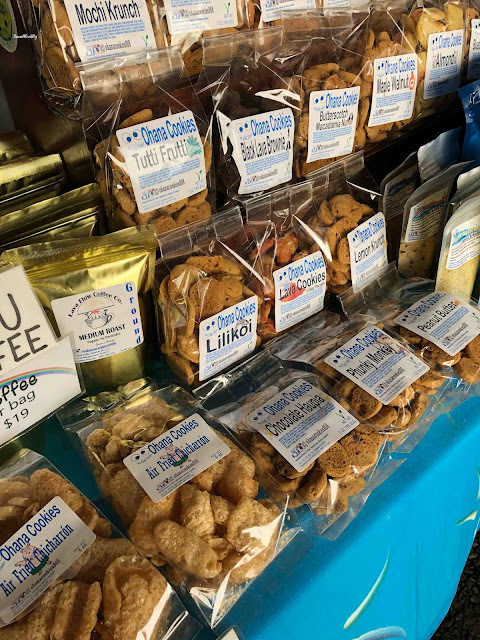 One of the reasons for our recent Aloha Hilo Day Trip was to go to the popular Hilo Farmers Market. 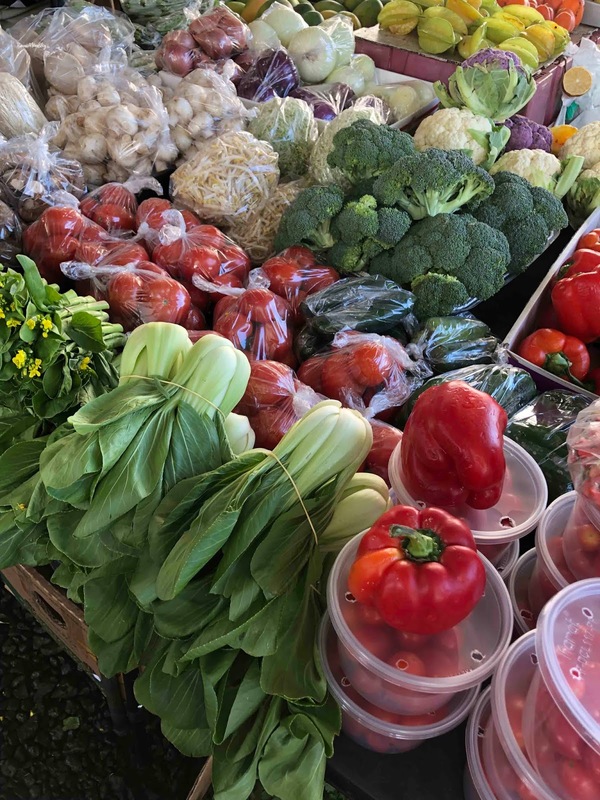 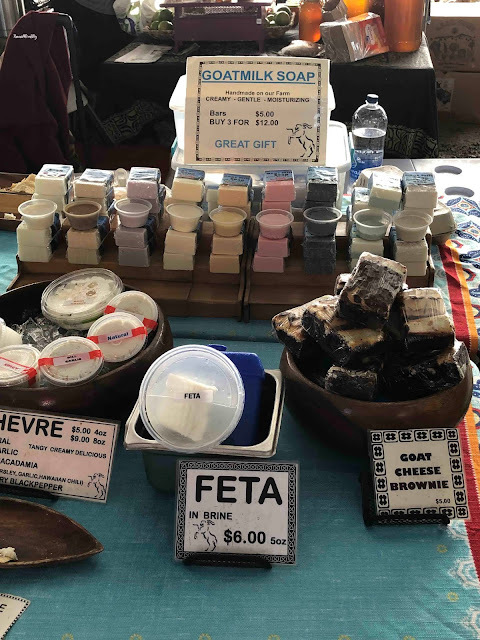 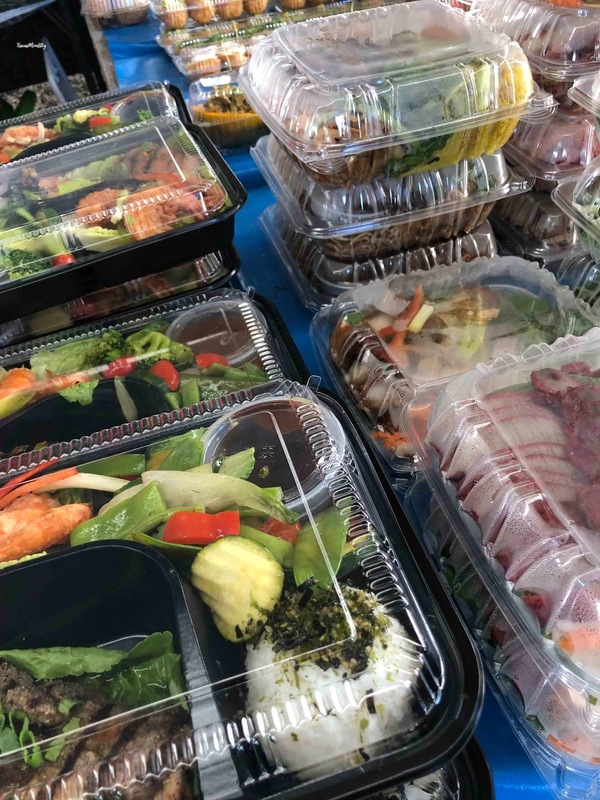 Way before farmers markets started popping up all across the islands, the Hilo Farmers Market was already a must-stop for people visiting Hilo. 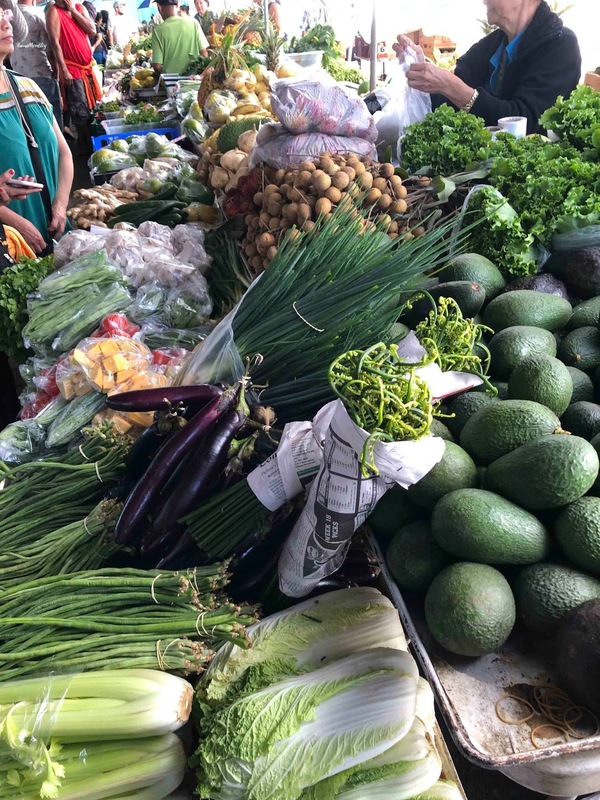 When I used to work for the airlines, my co-workers would fly in just for the day and bring home bundles of beautiful, fresh flowers. 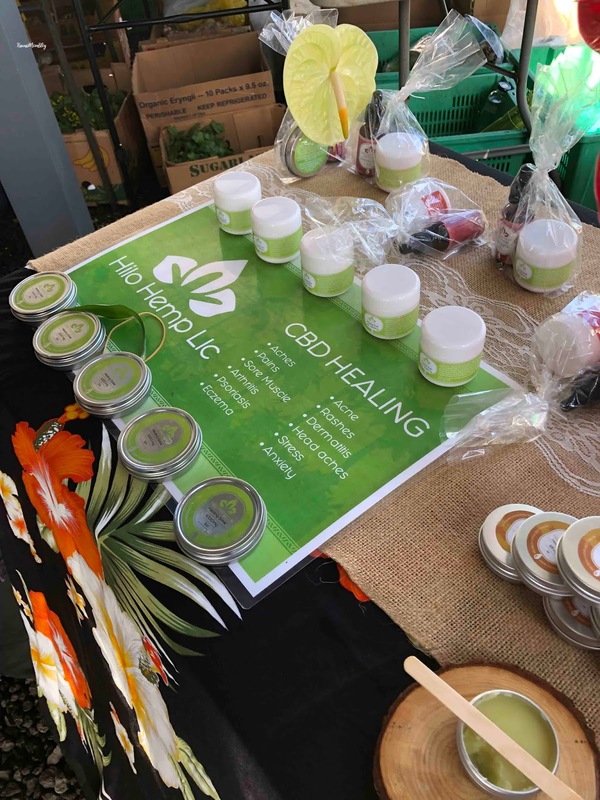 I didn't see that many flowers, but what I did see was a lot of fresh produce, baked goods, ready-to-eat foods, and CBD products. Yes, CBD. 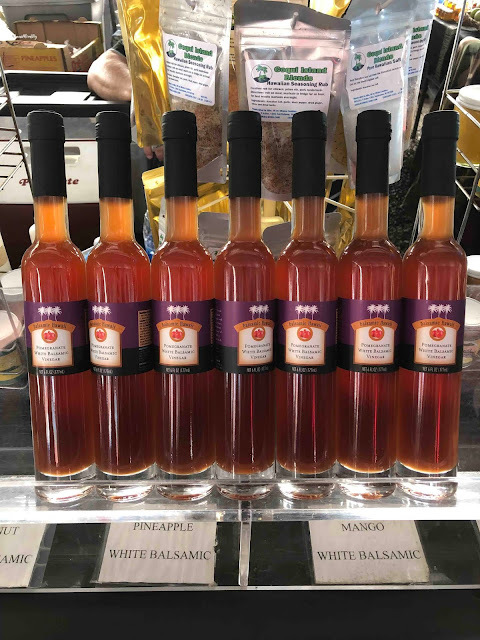 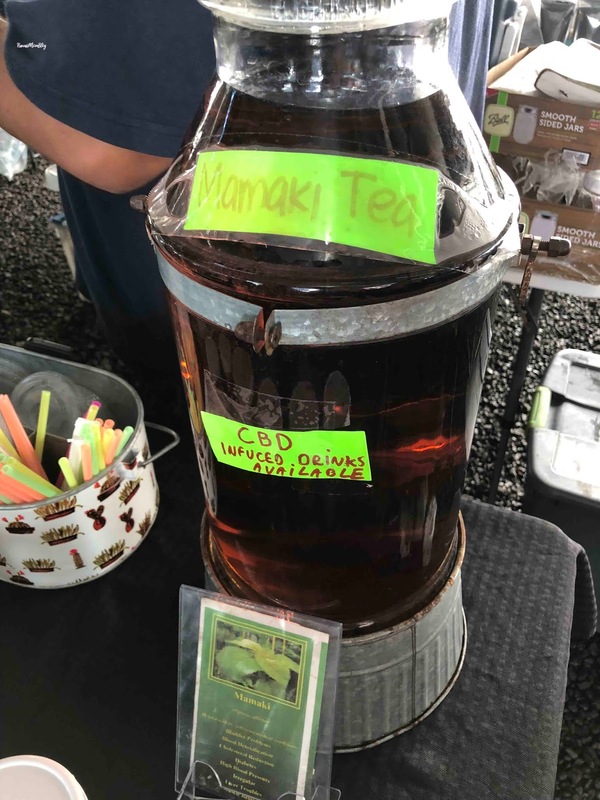 From CBD oils to CBD-infused drinks, CBD was everywhere (not just at the Hilo Farmers Market, but all around Hilo!). I didn't buy anything, but my friends bought produce because it was really cheap compared to Oahu. They hauled back avocados, ulu, longan, and even warabi. 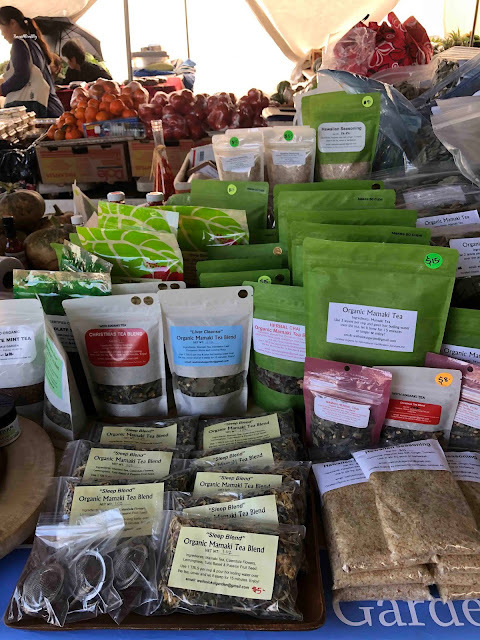 Definitely stop by the Hilo Farmers Market if you want gorgeous, inexpensive, fresh produce, or made-in-Hilo goodies!